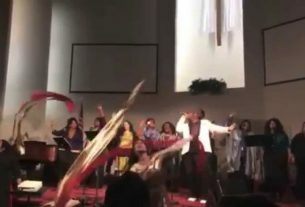 In July, I asked some of the team members of Unity One to briefly share some of their thoughts on multi-cultural and multi-ethnic worship; what they see it means and how it is plays out in the body of Christ. For this post, we take a brief answer from Ms. Urbina Hernandez, who assisted in the translation of the Spanish advertisements for Unity One. Unity One: If you would be so kind, I would like to get some thoughts from you on multi-cultural worship and what excites you about the Unity One concert coming up in November? Urbina Hernandez: As one Boby in unity to worship the only God of the universe who is worthy of all of the praise. Breaking down denominational walls that keep the body from coming together because of the differences. There is one God One body one Holy Spirit one savior the man the son Jesus Christ! Urbina’s ideas really speak to the heart of Unity One as a worship experience. Imagine the things that will happen that day and the following weeks, months, and years–just because we came together in unity. This is what Jesus prayed for: that we would be one. The Bible tells us to look and see how good it is that we are together in one united purpose (Ps. 133:1). Our unity is compared to the oil of anointing that was given to the priest Aaron and there is a blessing that is commanded when we are together in this way (Ps. 133:2,2). 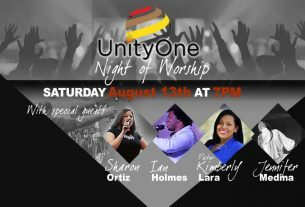 We hope to see you there at Unity One. Remember to get your ticket early, we only have a certain number available. To get your tickets now, click here and go to the registration page.